Aiken Canyon is a peaceful place where the prairie meets the foothills, and it's perfect for hikers, trail runners, and birders. 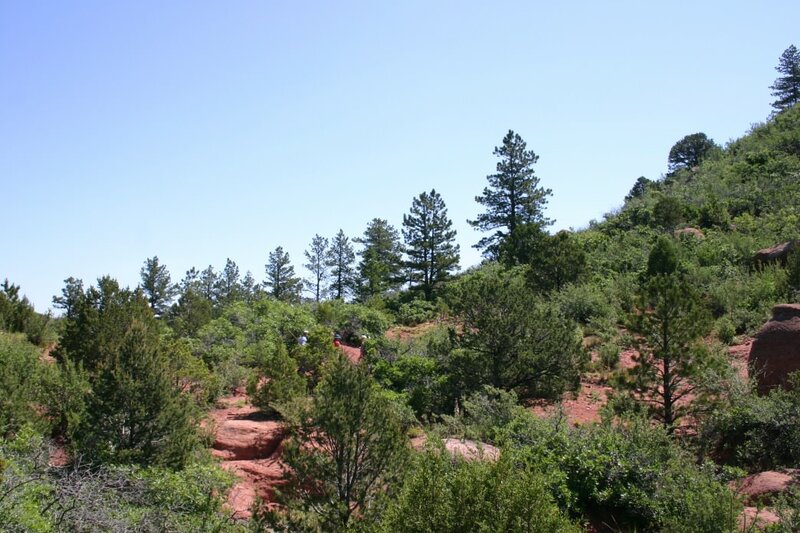 Located about a half-hour’s drive southwest from Colorado Springs, just beyond the boundary of the sprawling Fort Carson Army base, Aiken Canyon is a small quiet plot of land owned and operated by the Nature Conservancy. It covers a little more than 1,600 acres, and within its boundaries, hikers will find a quiet sanctuary. This Nature Conservancy preserve is a small part of the more than 800,000 acres and 1,000 river miles protected by the organization across Colorado. An easy four-mile loop meanders through the park, and connects with a .75-mile branch into the canyon. There’s not much elevation gain on the main trail, but those who choose the steeper canyon branch are rewarded with a photo- worthy view of the distant Spanish Peaks. Look for the distinctive hump of East Spanish Peak, 12,683 feet, and West Spanish Peak, 13.626 feet, in the distance to the south. The trails are fairly level and well-maintained. This area doesn’t get much snow, so it’s good for hiking year-round. The trailhead features an adobe- and straw bale field station with interpretive displays. Dogs and bicycles aren’t allowed here and it’s open from dawn to dusk, Saturdays, Sundays and Mondays. This preserve is easy to reach from the south end of Colorado Springs, and most days, you will have the trails all to yourself. Each season brings something special – in the winter, watch for the tracks of wild turkeys and an occasional mountain lion. In the spring and early summer, these hills glow with wildflowers. In the fall, you could share the trails with the resident black bears. 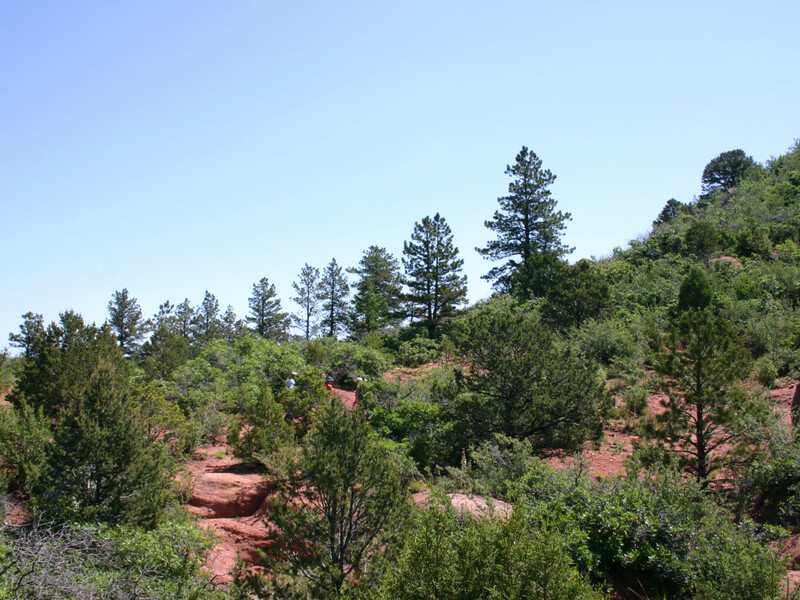 Aiken Canyon is the perfect place for hikers and trail runners who like their explorations with a built-in soundtrack. This preserve was named for a noted ornithologist, Charles Aiken. Birders who visit Aiken Canyon Preserve have seen – and heard – more than 100 bird species here. Watch for Cooper’s hawks, the blue flash of Western bluebirds, and Western tanagers, and year-round residents including wild turkeys and golden eagles. At Aiken, you’ll witness the intersection of the cactus-studded plains and the ponderosa-shaded foothills. Watch for pinyon pine and the one-seeded juniper along the trails, along with Gambel oak and the curly seed pods of the mountain mahogany. Along with the birds, there is a lush variety of wildflowers and a diverse group of wildlife residents –from the elusive gray fox and black bear to prairie rattlesnakes and tiny Eastern fence lizards. Black bears love the cover of the ponderosa forests, and elk and deer also pass through. From Colorado Springs, drive 16 miles south on Colorado Highway 115 (Nevada Ave.) Turn right on Turkey Canyon Ranch Road and drive 200 yards to the parking lot. Because this is a protected ecosystem, it’s open to hiking only; dogs aren’t allowed. The straw-bale field station/visitor center is open year-round, Saturdays and Sundays from 10 a.m. to 3 p.m. The preserve is open year-round as well, from dawn to dusk, on Saturdays, Sundays and Mondays.